Sibilla Oracle cards were very popular among French diviners and seer during the 18th and 19th centuries. 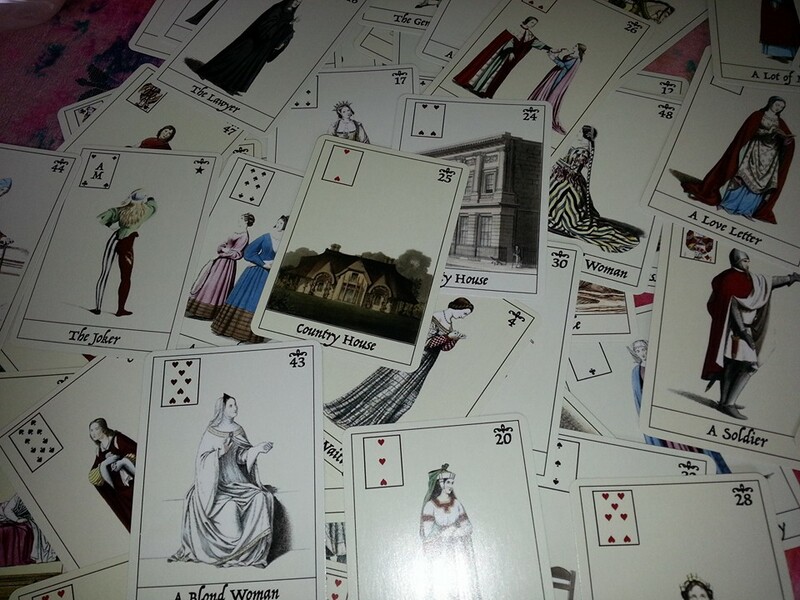 The structure is a regular deck of playing cards with the usual four suits, illustrated with scenes from the daily life of that era and a title for each card. The playing card symbol is shown in the upper left corner and a number in the upper right corner. The Legendary Sibilla Oracle cards have precise meanings – such as “Wedding” or “Trip to the Country” – which make them fun to explore for guidance in everyday affairs. A PDF Guidebook will give you the card meanings and key words for a better understanding of the cards. Standard poker-size of 2.5” x 3.5” (63.5mm x 89mm)(52pcs) / with PDF Meaning Sheet and guidebook / Packaging: Cardboard tuck Box .